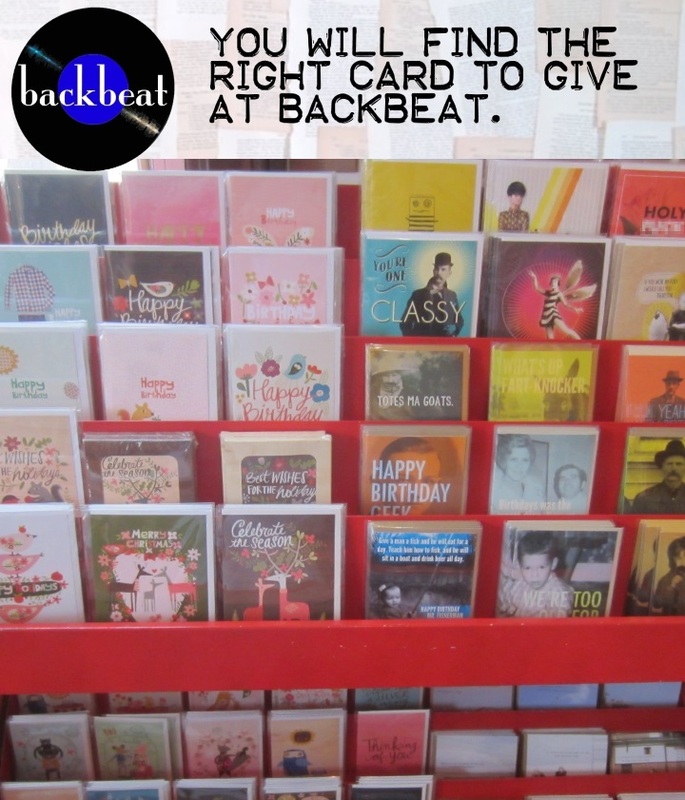 Of course at Backbeat our focus is on books and vinyl, but we also sell some amazing greeting cards. 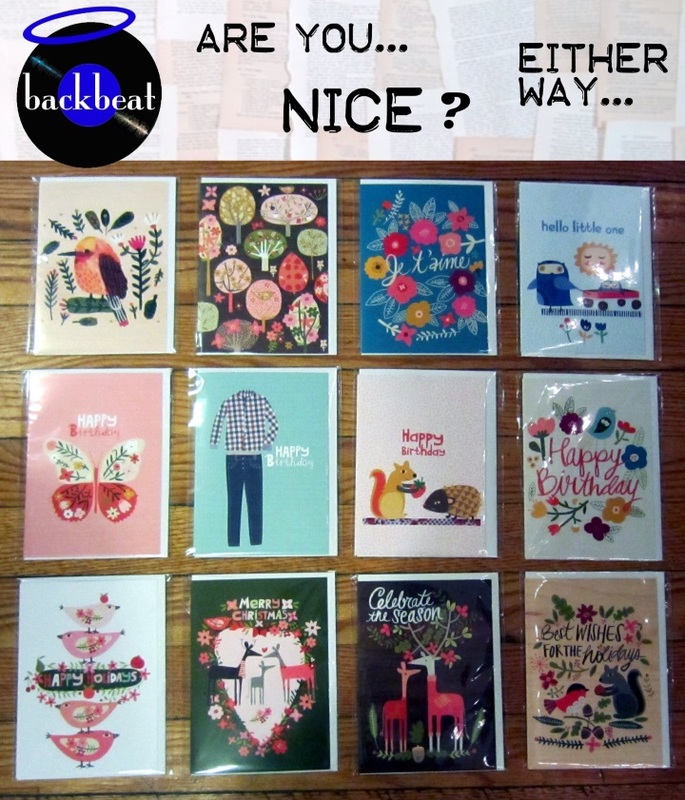 We’ve been stocking the beautiful ecojot cards for a couple years and added the funky Dani Press cards last year. 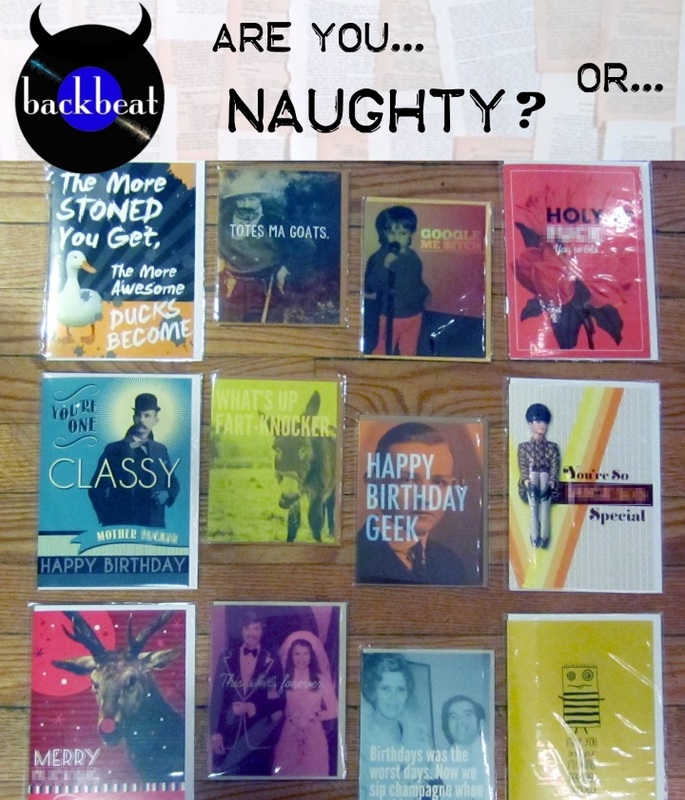 Now we have some slightly more saucy options from Middle Child Made and Swag Design Factory in stock. We’re sure you’ll enjoy these new greeting card additions, we’re all adults here right? So what’s your pick… naughty or nice? If you are more on the naughty side of things you might appreciate the amazing selection of buttons we now have in stock. $1.50 each for 4 for $5.00. November 1, 2016 Rectangular analog music and some recent arrival used vinyl.